…but I wanted to pick out a two topics for more in-depth discussion. This move solves these problems. It makes manageability much easier: you can build a Data Model, publish it, then you and other developers can build reports on it separately. 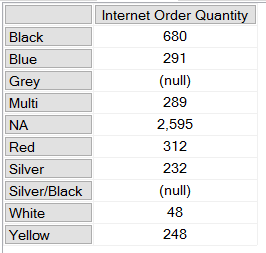 What’s more it means that all those users who prefer to use Excel, either because it’s the tool they are most comfortable with or because it’s the best option for building the reports they want to build (Excel has a lot of great functionality that Power BI reports don’t have right now and will probably never have), to build reports can do so without having to copy the data into Excel. Even better, as Amir hinted, this isn’t going to just work with just Excel. 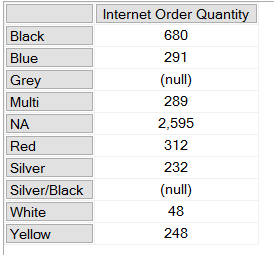 If this works the way I assume it works you’ll be able to use all the other MDX-capable front-end tools out there, like SSRS or Pyramid, to query your Power BI data, meaning that you have even more choices for consuming data held in Power BI. SandDance is undoubtedly a cool data visualisation tool and will be great for creating ‘wow’ demos. It’s also not, as the hype is suggesting, something new – I saw it on the Microsoft Research site at least two years ago. What is really important about SandDance is that it shows off another area that Microsoft has got right with Power BI: it has created a platform that other developers both inside and outside Microsoft has build on top of. In this case Microsoft Research had some eye-catching data visualisation technology but not something that made sense as a standalone tool (yes, I know it is actually available as a standalone tool but let’s face it, it wouldn’t make sense as a commercial product). Integrate this data visualisation technology with Power BI, though, and suddenly you’re part of a much richer product that is commercially viable. SandDance gets the chance to be used for real-world purposes by a lot more users; Power BI gets another great bit of functionality; it’s a win-win. The ‘build a platform’ strategy is classic Microsoft. It’s the story of Windows. It has some disadvantages in that the different pieces might not always fit together as smoothly as it should (compare and contrast with Tableau, which could be seen as the Apple of the data visualisation world) but it gets useful, specialised features out there very quickly. Microsoft has a wealth of great technology scattered across its different divisions that, historically, it has struggled to bring together coherently, but it looks like Power BI is managing to buck the trend. The integration with Azure Stream Analytics and Azure SQL DW that exist today, the integration Power Apps that was demoed in the keynote, the use of machine learning in Quick Insights and the integration with Azure ML that I also saw mentioned on Twitter today, are other examples of this happening. Microsoft also has a strong partner community in the BI space that did good business building solutions on the SQL Server BI stack; Power BI v1 did not offer the same opportunities and was neglected by partners as a result but Power BI today offers partners a lot more opportunities and so the they are back out there building and selling on Microsoft’s behalf again. 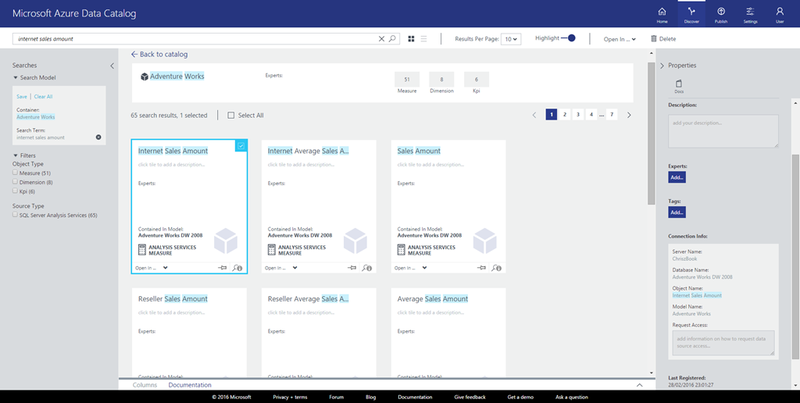 It’s happening in the Custom Visuals Gallery, it’s happening with the Power BI API and apps like Power BI Tiles, and it’s going to happen in a lot of other ways in the future too. 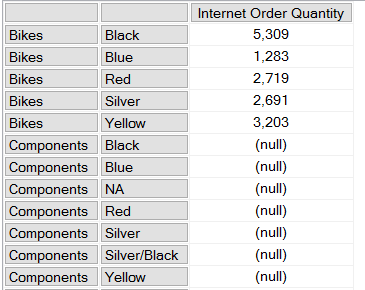 Filtering out empty values is something that SSAS does a lot of during query execution, and it is also a common cause of performance problems. 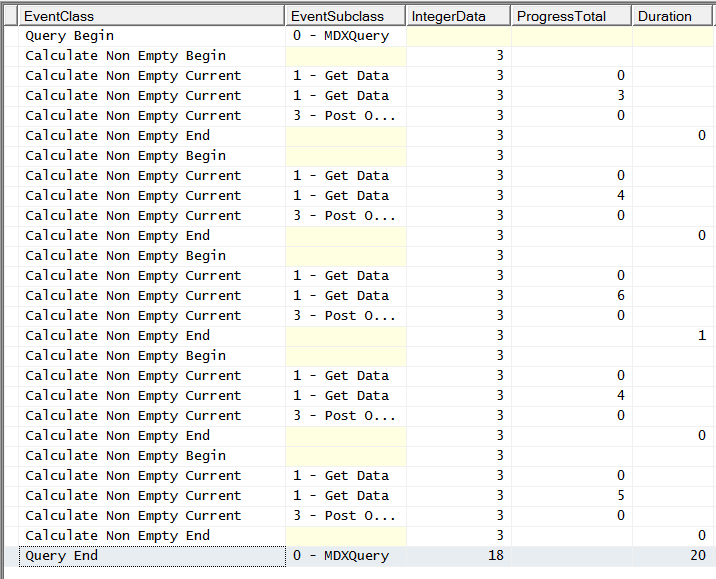 In this series of posts (similar to my series earlier this year on results serialisation) I’ll look at the different types of non empty filtering that can occur in an MDX query, how they can be monitored using Profiler and what you can do to improve their performance. Some of this information has come from an old white paper, but I’ve found that some of what that paper says is now out of date and I’m extremely grateful to Akshai Mirchandani of Microsoft for answering my questions on this subject. Even with the long-suffering Akshai’s help a lot of the information here is based on my own research and therefore potentially incomplete/inaccurate, potentially different for different versions of SSAS (I’m using SSAS 2014 for this series) and could potentially change again in the future, so take due care! The first question to ask is: what counts as non empty filtering? There are actually several different operations that the engine treats as a non empty filter, a few of which I was surprised by; here are the ones I know about. The NONEMPTY() function is much more flexible than the NON EMPTY statement but essentially does the same thing – it isn’t any faster in what it does, but it does allow you to make certain assumptions about your data that can improve query performance (more of that later). One thing to remember is to always set the second parameter, because if you don’t you may get unexpected results. There is also a NONEMPTYCROSSJOIN() function but it is deprecated and you should not be using it – everything that it does can be done more reliably with other functions. There is no row for the category Bikes and the colour White, for example. 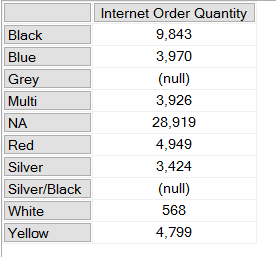 This is because the SSAS engine knows from the data in the dimension that no product exists that is both the colour White and in the category Bikes, so it doesn’t return that combination from the crossjoin – that particular tuple could never contain any data so there’s no point returning it. 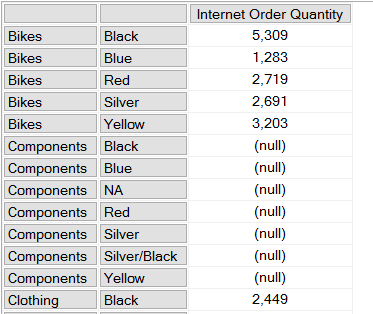 Notice that there are combinations, such as Components/Black, that exist in the dimension and are present on the rows axis but still return null because there is no value for Internet Order Quantity. It’s important to remember that autoexists only takes place when you are working with sets of members from different hierarchies on the same dimension, never with sets of members from different dimensions. The EXISTS() function and the EXISTING keyword allow you to take advantage of autoexists for filtering inside your own expressions without having to actually do a crossjoin (there’s another variant of EXISTS() with a third parameter that behaves more like NONEMPTY() but it’s very rarely used so I’m going to ignore it). 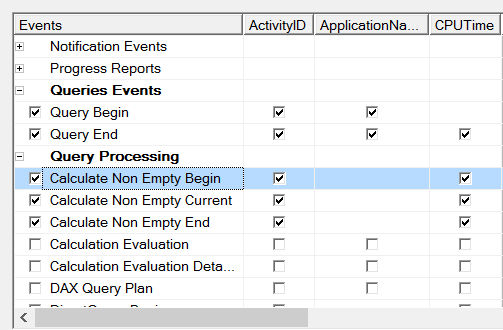 OK, after that somewhat lengthy introduction, in part 2 I’ll show you how to use Profiler to monitor what’s going on inside SSAS when you do all of these different types of non empty filtering. 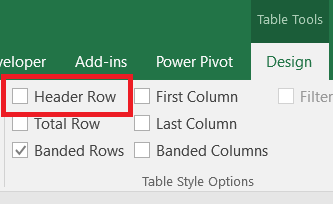 While it’s fairly common to need to load fixed-width files using Power Query or Power Query (and there’s a nice walkthrough of how to do this here), occasionally you might want to use Power Query and Excel to create a fixed-width output for another system, or maybe to create some test data. 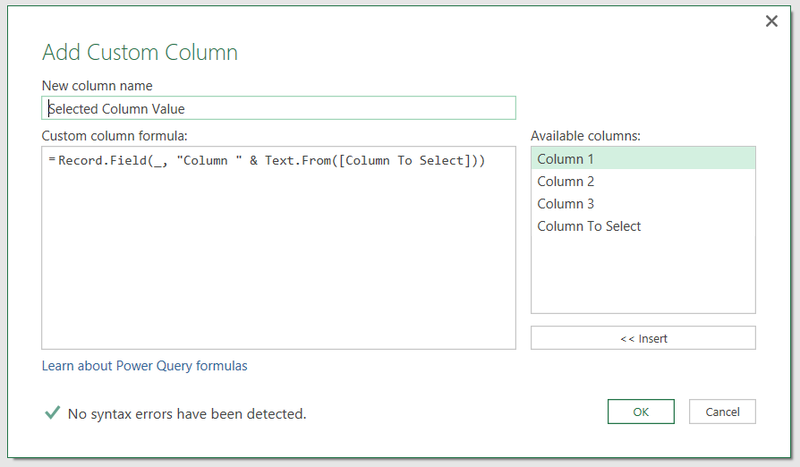 You might not want to do it often but I can imagine that when/if Power Query is integrated into SSIS this will be a slightly less obscure requirement; at the very least, this post should show you how to use a couple of M functions that are under-documented. Before we begin, a quick tip: when working with any fixed width file always check the Monospaced box on the View tab in the Query Editor window, to make it easier to just the widths. You’ll notice I’ve done this in all the screenshots in this post. Of course this could be any table of data that you choose, it’s just that using an expression like this makes the examples easier to follow. The only thing to notice here is that all the columns have a data type of text, even the Sales column: if your table doesn’t, I suggest you convert all the data types to text before you start – it will save you having to do it later. For more information about what the underscore means here, see my previous post; basically it refers to the values in the current row. How does this work? For each line, remember, we now have a value of type list that contains all of the values from the four columns in our table. The expression above returns a function that takes a list and constructs a single line of text from it. The list passed to the first parameter consists of a series of lists of two integers, and each value pair gives the position to place each value on the line and the number of characters to allow. So, in this example, the first value in the input list is put at position 0 on the line and is given a space of 3 characters; the second value in the input list is put at position 9 and given a space of 10 characters; the third value in the input list is put at position 19 and given a space of 10 characters; and the fourth value in the input list is put at position 29 and given a space of 255 characters. One thing to notice: on the third line, the month name March has been truncated to Mar because we only specified a space of three characters for the month name. The Text.Repeat() function, as used in the expression above, returns a piece of text with the # character repeated 285 times, and that piece of text is used as the ‘background’ on which the values are superimposed. …and then save the workbook in a .txt file format. You can download the sample workbook for this query here. There are a number of different ways to achieve this. You could, for instance, write a nested if or do some other kind of fancy conditional logic in M, but this could result in a lot of code. You could also unpivot all the columns except “Column To Select”, do some filtering, then pivot the data again but that would also be quite complicated. Probably the easiest way of doing this is with the Record.Field() function, which allows you to get the value of any given field in a record by passing the name of that field as a text value. …which, if you know a bit of M, makes a lot more sense but for the average user is probably more intimidating.